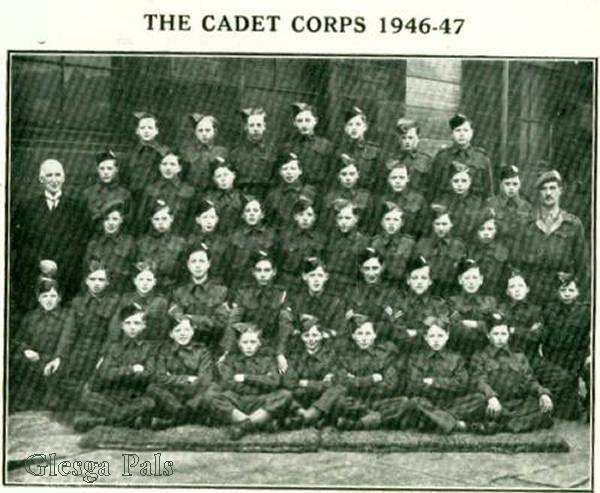 ".....I went to John St Sec.from 1944 to 1948. during that time I was in the H.L.I cadet force run by the school .we used the 7th HLI hall in the Main St for drill and the firing range....Mr.Lucy who was the woodwork teacher was also Capt.Lucy in the cadets...does anyone remember this? Regards, Billy Dillon, Glasgow Scotland"
2nd. row, no.6 is Andy Mays. Andy was Canadian. When my parents and I moved house in Caledonia Road round about the start of the 2nd. World War, Andy and his parents came over from Canada and moved into the house we had just vacated.